I Am clarifying My vision in you, says the LORD. 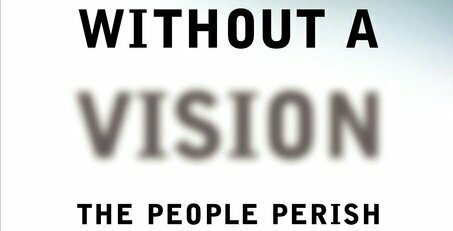 For as I said in My Word, where there is no vision, the people perish. I do not desire anyone to perish. I will give you clear and precise vision so that you will know what you are to do in this hour, says the Lord. Do not despise the days of small things, for ONE lost soul is MY vision. When you reach one person, and they hear and respond, angels rejoice over the one! Do not fear the large. For as you steward the small, you will be counted worthy to steward the greater. As you do the least, I will entrust you with the greatest. Do what I ask you to do regardless of the size and do not bury the gifts that I have given you. USE THEM for MY GLORY in every place and for every face and every purpose I send you, and I will be blessed. My Kingdom will expand on earth because of you and YOU will be My obedient servant who pleases me by walking and active faith, says the LORD. Do not qualify or disqualify others or yourself. I Am the creator of every person, place and thing. All are valuable to Me and for ME. Do not have respect of persons, as I have called you to be like Me. I look on the heart. I see aching and broken and wounded hearts that My blood was shed for. I see the sick and the infirmed that My stripes were placed upon Me for their healing. RELEASE the gifts that I have given to you in all that I send you to reach for My kingdom, says the LORD. For your vision is MY vision, and your Work is MY work, and your will shall become MY will as you align yourself with ME and go where I want you to go, see what I want you to see, hear what I want you to hear and speak what I want you to say. BE as I AM, and let the vision be clear and go and fulfill the desire of MY heart as I send you forth as sheep in the midst of wolves. But I Am the Lion of JUDAH, and you shall be as I Am, bold as a lion and roar as a lion, and move as a lion without fear of failure or dread of enemy and unrestrained. My vision will be clarified in you and you will be fearless and powerful in executing My will on earth as it is in heaven, says the LORD.